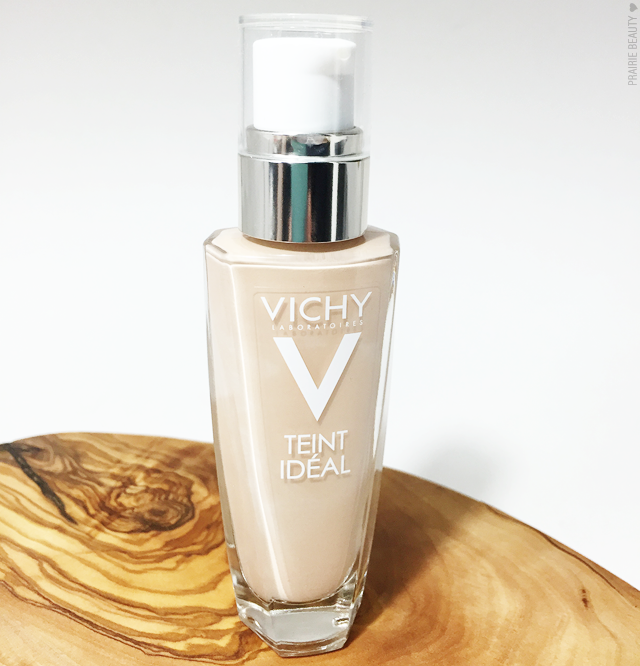 Have you guys checked out my reviews from the VICHY Teint Ideal range yet? Honestly, I feel like these are some great new releases that everyone should take a look at, because there really are some great products in this range. 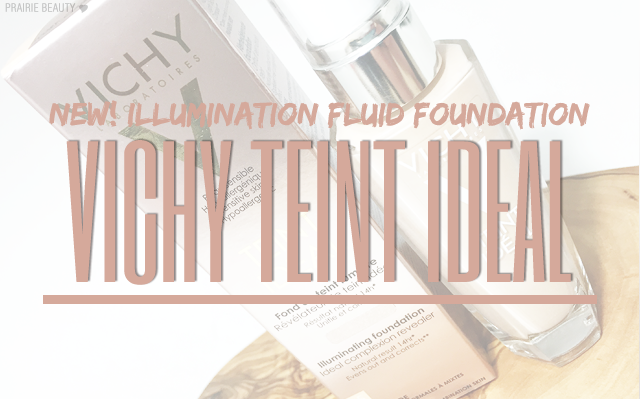 Finally, I've gotten to another favorite of mine from this line, the VICHY Teint Ideal Illuminating Fluid Foundation*. I've been using this foundation really consistently recently and I'm definitely ready to give you guys my thoughts! A sensational texture that forms a luminous veil. Formulated for normal to combination skin, the fluid foundation fuses with the skin thanks to its ultra-liquid water-based texture. Vitamin E unified, resulting in a more radiant complexion day after day. Vitamin C regenerates the skin. Mineral pigments for coverage and healthy glow. Light-medium coverage, even and satin-like luminous finish. 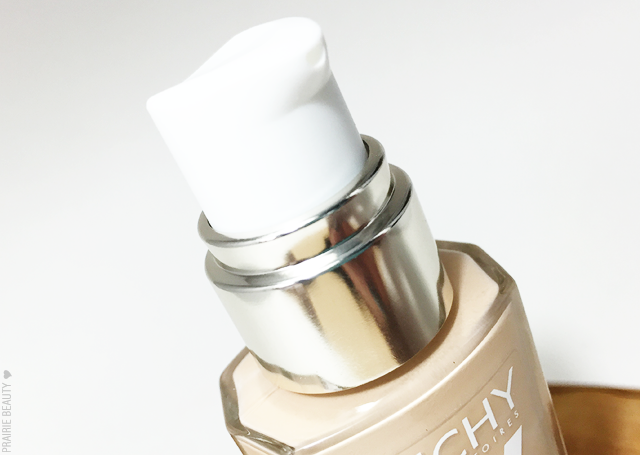 This foundation is available in 5 shades from Ivory to Bronze and is housed in a really beautiful glass bottle with a pump cap. I have to say, as much as I do like the squeeze tube packaging of the Illuminating Cream Foundation*, this is my preferred packaging just because I love a pump - and I do think it looks quite pretty out on my vanity. This foundation is formulated for normal to combination skin, which suits me perfectly as my skin is really quite normal at this point but I do tend to get a little oily on my forehead throughout the day. It also promises a skin-like finish and light to medium coverage. I have to tell you that I think the claims are pretty bang on for this foundation. I do find that it gives a really even look to the skin, but still looks and feels really natural on the skin. I do prefer to use this with a primer, as it helps to prolong the wear on me, and I also like to powder in my T-zone to combat oiliness that tends to happen to me later in the day, but I feel that even with those two products this does give a really natural look to the skin that never really looks like makeup. I wouldn't say that this is necessarily the longest wearing foundation in my collection and I definitely do need to touch up with powder if I'm going to get the full 14 hours of wear promised, but I still think this is a great every day foundation. 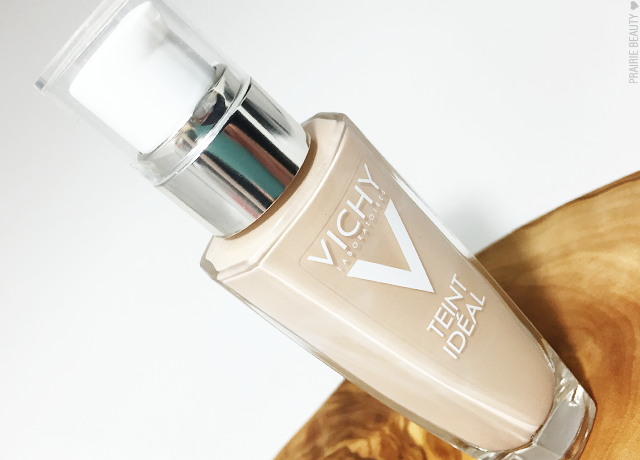 Like I said, I would definitely be aware of your skin type when choosing which of the VICHY Teint Ideal foundations you're going to try, because they are all very specifically formulated. That being said, all of them give a really natural, healthy looking finish to the skin. 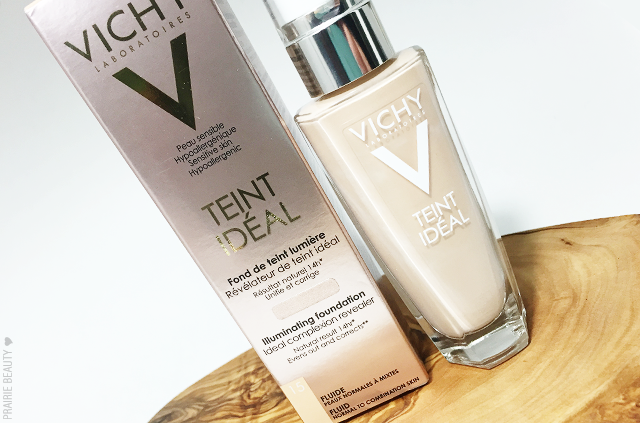 The VICHY Teint Idéal range is available at drugstores nationwide and at Vichy.ca!